If this sign-stealing scandal is truly going to reignite the rivalry between the Yankees and Red Sox, it needs to hit a few more stages of escalation. Thankfully, the Red Sox have reportedly brought us to Stage Two, by running to the commissioner’s office and yelling, But, but, but! The Yankees are cheaters toooooooo! That particular camera shot was one of those that the Red Sox received in their video room feed, and according to a source, they were so concerned about it — and about whether it was being used to steal signs from DiSarcina — that they had their bench coach alter his position in the dugout. This is great. I want this to go on forever. 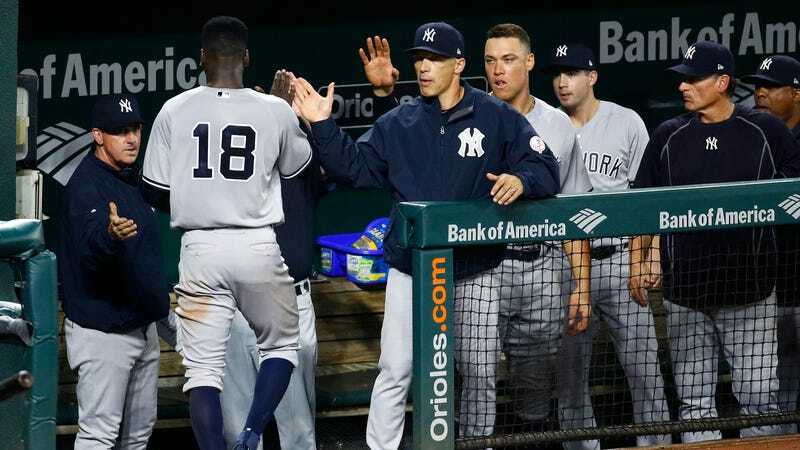 I want a report that the Yankees bugged the visitors’ locker room and that the Red Sox sent a spy disguised as a bat boy into the Yankees’ dugout. I want to hear about buzzers buried under the batter’s box and Russian hackers. I want championships vacated.